We’ve been using the iPhone XS for exactly two weeks now. It is unsurprisingly a great phone—the best iPhone that’s ever been made, despite a smattering of complaints and issues that have cropped up. Now, after two weeks of testing, here’s a closer look at the phone’s processor and battery. If you watched Apple’s iPhone announcement last month then, like me, you had to sit through what felt like an hour of the company praising the processor in the newest batch of iPhones. Tim Cook said it was powerful, and he noted it was one of the first 7nm chips found in a product. But what the hell does any of that even mean? We’ve been trying to get to the bottom of Apple’s A12 claims (that it is much faster, better for battery life, and more equipped for machine learning) since we got our hands on the iPhone XS, and the answer to the question of “is the A12 better” is... complicated. iOS devices are unique in that the same company is designing the processor and the software and nearly everything that comes between them. There are few devices engineered as neatly as an iPhone. Everything is designed to be snappy, and Apple’s processors only stop being fast when Apple starts producing software that’s more resource intensive than the chips might be able to handle. 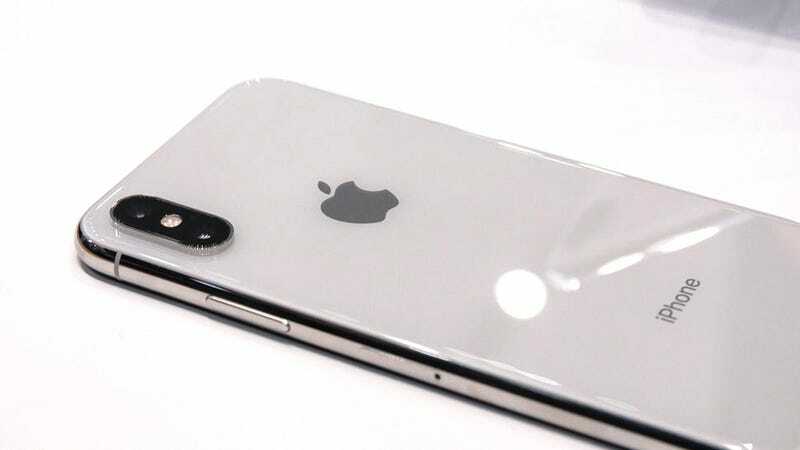 So the A11 found in iPhone 8, 8 Plus, and X is, for the most part, going to feel as fast as the A12 found in the XS, XS Max, and the yet to be released XR. People aren’t crunching a lot of numbers in iPhone apps so all your gains are tiny. But they do add up, and maybe those micro improvements are enough! Take Face ID for instance. Like it or not this appears to be the way we’ll be opening iPhones for the foreseeable future. That means how fast these phones open matters. And the XS simply opens faster than the X. When we measured the two opening in our video review, the XS was demonstrably faster. Think about 80 milliseconds. We can’t attribute this improvement entirely to the processor, but it shows how even a small change can make a big difference. Moving over to Geekbench, a synthetic benchmark that runs a series of tests meant to mimic a workload on a mobile chip. In Geekbench the A12 did better than not only the A11 but also Android competitors like Qualcomm’s Snapdragon 835 and 845. In Geekbench 4's multicore benchmark the XS did 11,360 while the XS Max did 11,555. The 845 in the Samsung Galaxy Note 9 did just 9012, while last year’s A11 in the iPhone X did 10,362. While in the Compute test the XS and XS Max both managed over 20,000, with the X doing 16,110, and the Note 9 doing 14,419. The phones powered by the A12 performed better than any other phone we’ve seen. But it’s typical of synthetic benchmarks like Geekbench to produce great numbers to brag about. In most instances, you’re probably not going to notice much of an improvement there. Battery life is a different story. When Apple started talking about the A12, it noted that its one of the first consumer chips to use a 7nm process. The A11 and Qualcomm’s 845 both use 10nm processes—same as the majority of Intel’s 8th generation mobile CPUs. The smaller the process, the faster a chip can theoretically be, because there’s less space that information has to travel. Fast is crucial to battery life in most modern mobile processors. The idea, popularized by Intel, is that the chips should always require the same amount of power, but that the faster a chip finishes processes and returns to idle the less power is consumed. This is why, theoretically, the XS can actually have a smaller battery than the X and still have better battery life. The A12 should do everything just much more efficiently than the A11—and we see that in the results for PUBG, where the A12 was getting nearly the exact same framerate but by using a lot less of the processor. In our battery test, in which we set the brightness of the phone to 200 nits, turn off all additional modems and notifications, and stream a video over wifi, that theory proved pretty dang true! The iPhone X with its A11 processor and 2716 mAh battery lasted 9 hours and 56 minutes. The iPhone XS with its A12 processor and 2658 mAh battery lasted over an hour more at 11 hours and 11 minutes. And the iPhone XS Max, with its much larger 3174 mAh battery lasted 13 hours and 7 minutes. For reference, the Samsung Note 9, with a Qualcomm Snapdragon 845 processor and huge 4000 mAh battery, lasted 14 hours and 11 minutes. And in my own anecdotal experience, I had the iPhone XS go from 5 A.M. until 5 P.M. with heavier than average use. At that point, it hit 10-percent battery and I put it into Airplane mode just so I could have some juice on my walk home after dinner and drinks with a friend. The iPhone X, with its slightly larger battery, lasted around the same amount of time. These battery tests seem to suggest the A12 really does help battery life—though I suspect the improvements might not be as impressive in other battery tests. Streaming video is just one simple use case for a phone and chronicling one’s use for the entire day isn’t exactly scientific testing. Tom’s Guide, meanwhile, actually saw worse battery life in its standard test—where it sets the brightness of the phone to 150 nits and browses a series of websites on LTE. Still, two out of three battery tests showing improvements isn’t bad! Most CPU designers would insist you do multiple tests, multiple times, to really understand the performance of the batteries, but these tests alone, as well as other tests posted online, suggest that the battery life is a little better than the X. We know for sure the A12 was the top performer in Geekbench and saw exceptional results in WebXPRT, Gamebench, and even a quick and dirty Face ID benchmark as well. Combined with what appears to be improved battery life despite a smaller battery, and it adds up to a smart little processor. But how will it actually affect your day to day life? Not much at the moment. Apple has promised that the A12 is much better at machine learning than previous processors—running up to 9 times faster than the A11—but there aren’t many (any) especially useful applications that require that number crunching right now unless you’re really into AR. In fact, the only one I found myself regularly using was the adjustable bokeh feature in the camera app and the new Smart HDR feature that combines images to create an optimized photo. Apple claims these featured require the A12's computational power and won’t ever be possible on earlier CPUs. Apart from saving portrait pics from being too blurry and enjoying better battery life, there’s not much you can actually do right now to take advantage of the A12. So don’t let the promise of a faster processor convince you to pick up a new iPhone right away. Yes, it’s going to last longer than what’s available, so it’s a smart buy if you don’t update often, but it’s not worth the upgrade all by itself.